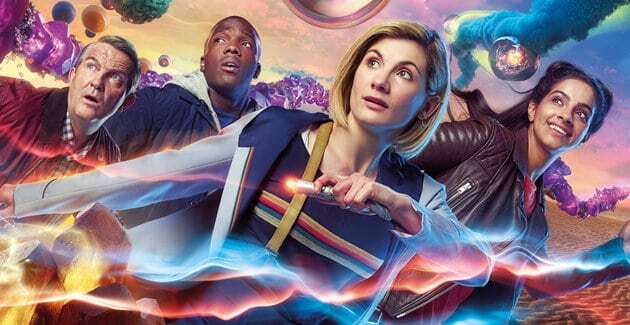 If you are a Whovian, (that would be a fan of the science fiction television program, Doctor Who, from the BBC) you have probably been hearing, reading and experiencing the upheaval in fandom for the past few months over the fact that the new Doctor is a woman. *gasp* No! Say it isn’t so! 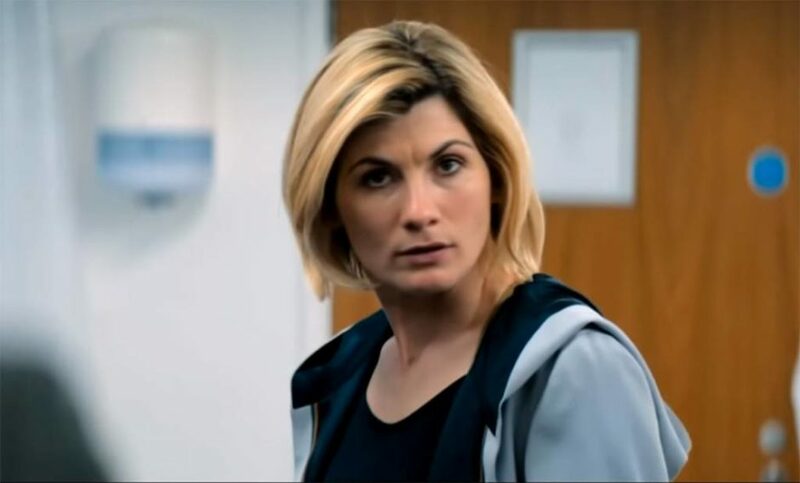 After running on and off since the 1960’s with the main character of the Doctor being of the male persuasion, the latest incarnation of the beloved science fiction character is a WOMAN. Despite the fact that it is currently 2018, this announcement set the fandom into a full-on tailspin. Some were screaming, “It’s about time!” while others were yelling about political correctness and still others were complaining that it doesn’t really matter. …in my house, I can say that we absolutely adored her. And I honestly didn’t expect that. In the groups mentioned above, my family was pretty firmly ensconced in the “really does it matter?” camp. To be honest, no one in our house was a big Capaldi fan. Oh, we liked him and we didn’t really dislike him, but none of us made a real deep, abiding connection with him like our previous Doctors. Now, let me back up a bit. We started with Nine and have been staunchly passionate Whovians pretty much ever since. We have attended theatrical screenings in complete Doctor Who regalia. (My kids all cosplayed their favorite versions of the doctor for special events.) And we own a fez just because they are cool. So we are Whovians. For sure. So when there was the announcement of a female doctor, it really didn’t shock or stun us. We just sort of shrugged and said we’d check it out. We weren’t quite ready to jump back into the passionate side of things in the fandom quite yet but we would give it a shot. 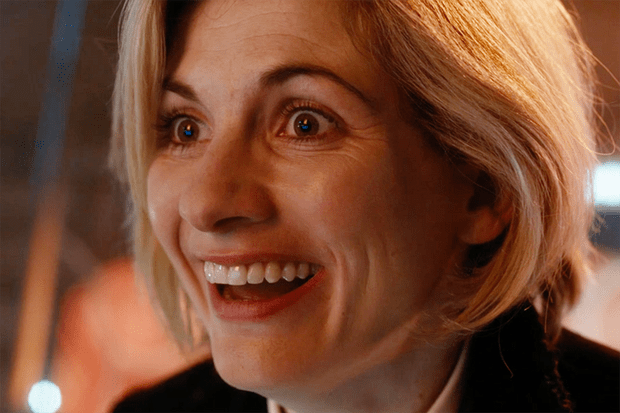 But yesterday’s adventures with this adorably perky blonde version of the Doctor (played with stunning vibrancy by Jodie Whittaker) REALLY swung us around to be fans of the new incarnation. When she put together the sonic Swiss Army knife, my son said, “There’s your wibbly wobbly Tennanty bit.” And he was right. 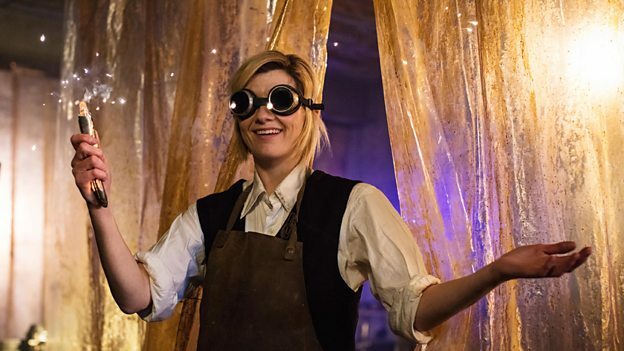 There were a lot of devices that Tennant created over the years to track down rifts and find cybermen and destroy Daleks…so seeing her in those goggles with her device? PERFECT! And as for Eleven, we felt that he was a lot of fun. With him ,we laughed and felt the good in the universe even amidst the bad. We got that from her quite easily. One of the things that I realized after watching the unveiling of this new, historic Doctor, was the profound realization of something I have been missing in recent years: a smile. Oh I know Twelve smiled, but he came across in the overall as a much more serious Doctor. He didn’t want to play a lot and he didn’t have time for antics. I fell in love with Doctor Who because in the middle of the hardest circumstances, he was almost always a lover of life. He knew how to inject just the right bit of fun – even into heavy situations. I have missed the joy and lighthearted approach to things. Let’s face it folks – life is hard. There are a lot of miserably unhappy people out there. I prefer to air on the side of love, grace and joy whenever possible. So I have missed the Doctor’s smile. 🙂 I’m VERY glad to see Whittaker bringing it back. Personally, after the premiere outing with this Doctor, I found myself more engaged, delighted, and excited than I had in YEARS. My Doctor, it seemed, was BACK! Now I can’t wait to see if they can keep up the momentum. And new companions too! Several of them! So how about you? Anyone watch? What did you think?